Selected eighth overall by the Clippers in the '02 draft, Chris Wilcox has been played for five teams during his nine years in the league. 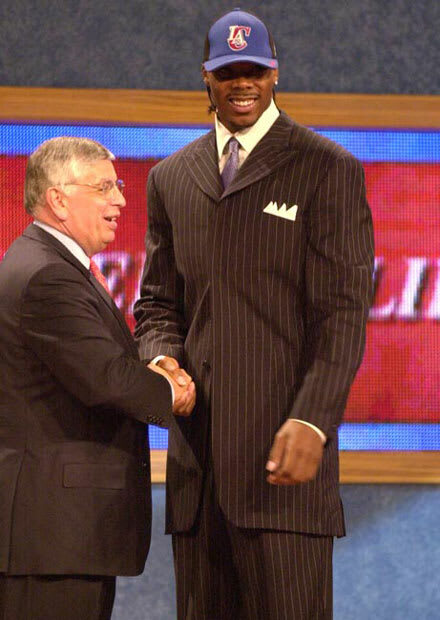 But we'll let you decide which was worse: L.A. passing on Amare Stoudemire (9th) and Caron Butler (10th) or this suit? The Clippers screw up their draft almost every year, but rarely do we get to see the sound of nails on a chalkboard.